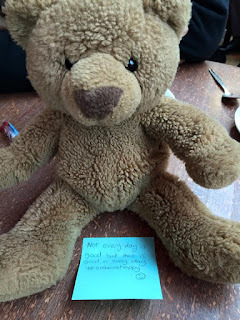 Mum of Five Staying Sane: The pressure of a class bear visiting your house. What we really got up to! The pressure of a class bear visiting your house. 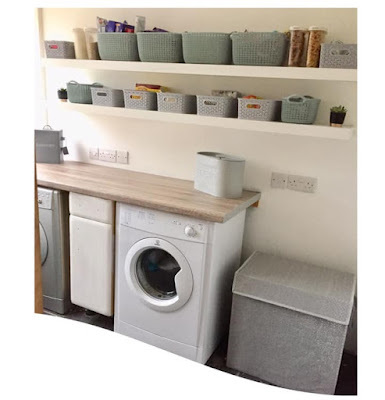 What we really got up to! The dreaded class bear visit. Your child comes skipping out of class happily on a Friday because Dave the Bear is coming to stay. As you flick through Dave's diary you notice that he's been skiing, to the cinema, into London, stayed at a 5 star hotel, had Afternoon Tea with the Queen and had more sleepovers with the grandparents than my children have themselves! The pressure is immense. Do I book a last minute city break so Dave doesn't feel neglected. Am I expected to cook a 4 course meal with silver service, is he more diva and demanding than Kim Kardashian. Looking at his diary it would seem so. How can one small bear come into your life for a weekend and suddenly you become the picture perfect family. The family who has non stop activities all weekend. The ability to take a bear anywhere, anytime just for the perfect photo to stick on his diary to take back to school on a Monday. Sitting in Costa Coffee, leaving notes on the tables! 'Oh yes of course our educational trip to Italy was completely planned before Dave arrived', 'Well Tarquin was insistent that Dave had to see all the art at the V and A museum, we just had to take him', 'Philomena insisted that Dave helped muck out the horses on our country estate, we even bought him his own horse'. We had nothing planned for our weekend and Daves arrival didn't make me change my mind, we weren't doing anything exciting. Dave fitted into our routine, sorry Dave! No scuba diving lessons, no skydive or water skiing, no visits to stately homes or museums. Even on the weekends you aren't visiting we don't do that so why would I do it for a bear?! The pressure is real though. 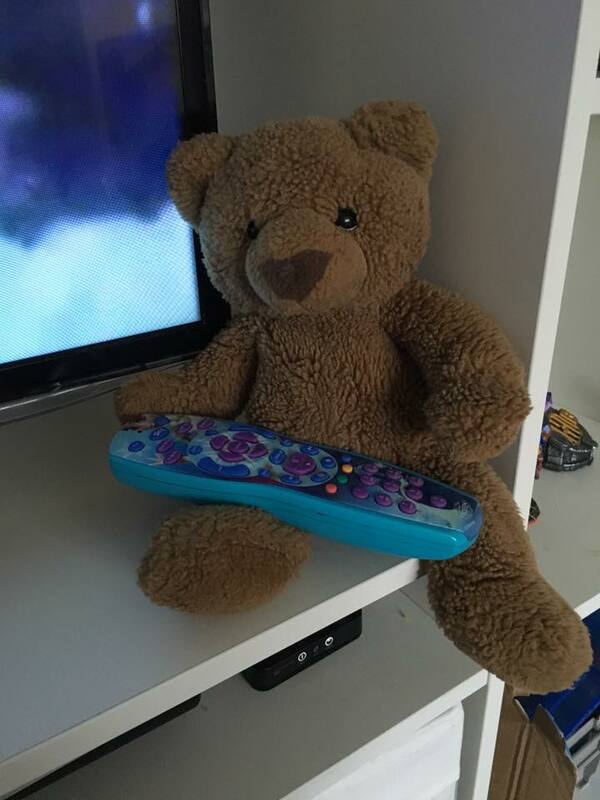 There are parents every week whose weekend is gate crashed by a small bear with big plans. Every week he wants to do bigger and better things than last week regardless of what your plans are, or lack of plans. It turns into a competition, what can we do with Dave the bear so that we can stick wonderful pictures into his diary to take back to school and show everyone. Last weekend Dave went back with an empty diary entry from us. In the past he has visited and we added a diary entry that reflected our weekend and Dave fitted in around our plans. A trip to Costa, taking children to various activities and home. That was it. I'm sorry Dave but I'm not going to give myself a hernia by giving you a 24/7 party weekend, take you out for dinner or on a whirlwind trip to Italy. You got dragged around the house, left neglected on the floor and we even forgot you and left you at the grandparents! They were the ones who sent the picture of Dave after he raided the whisky cupboard, that's what happens when you've spent the afternoon with the grandchildren! 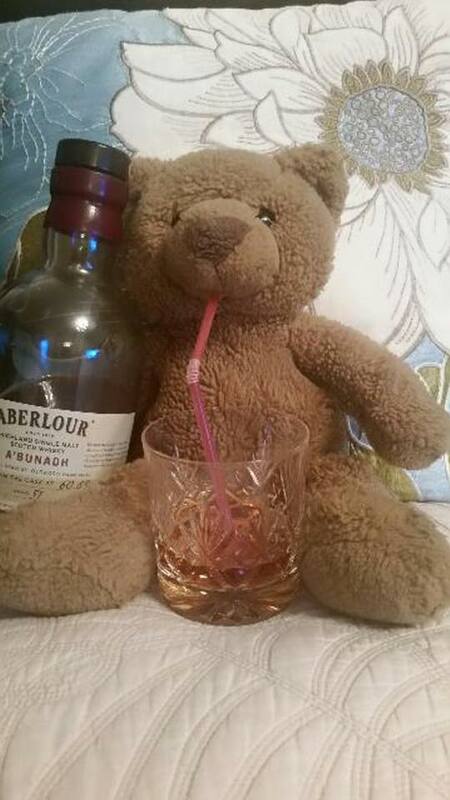 Bear loves a nice whisky with added pink straw, probably not an ideal photo entry into his school diary! If bear could talk it would be like the film Ted when you go back to school after staying at our house and you tell the children about your weekend at the Staying Sane abode. Our weekend was filled with shouting, arguing and quite a few 'new words' for the children's spelling test that week! Now hand back the TV remote and go back to school! Dave making himself at home!